Aruba, a leader in the mobility and wireless domains, has underlined its strategy to establish and develop partnerships both horizontally and vertically in Saudi Arabia. 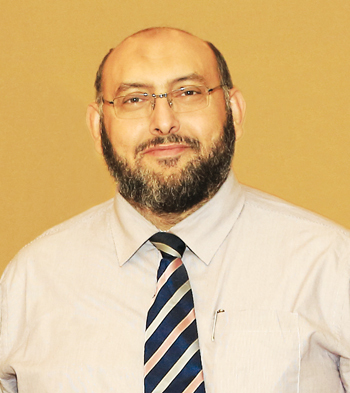 “By horizontally, I mean we partner with leading IT technology vendors such as Dell, Microsoft, Alcatel, Brocade, Juniper, etc to co-develop integrated solutions that deliver end-to-end capabilities to our joint customers,” said Ammar Emaya, general manager, Aruba Networks, Middle East. Part of Aruba Networks’ vertical support strategy is partner education delivered through its training centre. The company has a well-established training partner based in Dubai that has training branches in countries across the region including Saudi Arabia. Training is held bi-weekly to ensure that all its partners are up to date. Aruba has a dedicated team of in-house channel engineers who conduct quarterly technical reviews of each of its partners to ensure they have been trained and certified. The mobility trend has resulted in the need for better connectivity and solutions, said Emaya. “Aruba Networks’ survey in the kingdom found that 65 per cent of respondents prefer Wi-Fi over any other form of connectivity. Companies must not only deliver reliable and ubiquitous Wi-Fi to employee and guest users, they must also ensure that the performances match up to user expectations. “Older 802.11n wireless enterprise networks are no longer sufficient. This is why enterprises are turning to the 802.11ac gigabit Wi-Fi standard. The 802.11ac standard provides better signal and coverage for lower cost than its predecessors and provides enough WLAN capacity for users to see equivalent performance to wired Ethernet. Our 802.11ac APs feature a unique hardware and software design that improves the mobility experience of all users – even those with 802.11n devices. 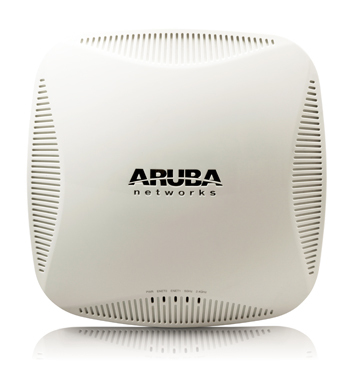 Among Aruba products that have done well is the AP 225, which is widely used in Saudi Arabia by many institutions from schools and universities to hotels, hospitals, financial institutions and government organisations. “We have seen a massive pick up of this product in the last 12 months as more and more of our customers look for a faster and smarter Wi-Fi,” said Emaya. Aruba sees Saudi Arabia as a growth market and has been investing heavily in developing the channel to meet demands. “We have enjoyed a 30 per cent year-on-year growth in the Middle East, with the Saudi market reflecting this. We expect that this impressive double-digit growth will continue as we begin to leverage our extensive capabilities in the fast growing hospitality market,” said Emaya. Aruba has a large office in Riyadh and a smaller branch office in Khobar. It maintains a presence in Jeddah.